Early May 2014 saw work begin on the much-anticipated refurbishment of Windsor Park, Northern Ireland's national football stadium. 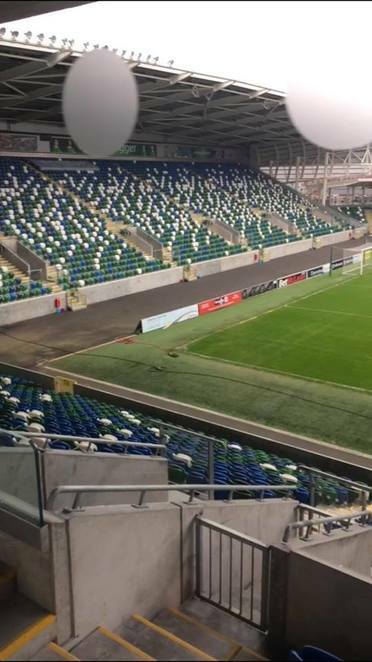 Over two years later, the long wait for the Green and White Army was finally over and the National Football Stadium at Windsor Park was open for business. Stands were demolished and rebuilt, new floodlights were installed, the new headquarters for the Irish Football Association were designed and over 18,000 seats were now in operation. With easy access from a range of points across the city and with new and improved rail and bus lines to the area, this could be the perfect place to stop on your Irish road trip for all those football fanatics. 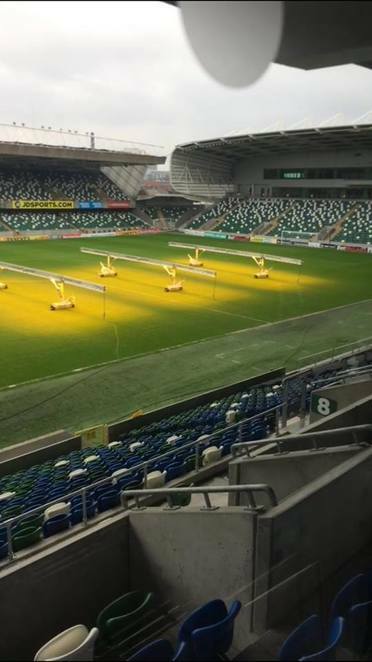 The new era for Northern Irish football was now well underway, and most importantly for the local public, a vast range of facilities and special events were made available. With four new lounges and ten executive boxes, the wider community can now make use of the venue, which offers the ideal setting for parties, conferences and weddings, with 2018 Christmas dinner also now available to book. Pre-match VIP experiences and gift vouchers complete the long and exciting list of the unique opportunities that the National Stadium at Windsor Park can accommodate. More importantly, the venue also houses the Education and Heritage Centre, which goes into immense detail to tell the fascinating journey of the Northern Ireland national team and the surrounding area from the late 19th century to the present day. Through the use of various media, the centre allows visitors to experience the unparalleled matchday atmosphere in the stadium. Along with the tour, several progressive workshops are also available throughout the year, with the Irish FA offering invaluable educational lessons on Football For All, pathways to volunteering and employment, nutrition and counteracting racism among many others. Whether it be a special occasion, an ideal gift or simply a trip to learn more about this fascinating and passionately supported national football team, this venue provides the perfect experience for all ages and backgrounds.